A18 Series to wrap the fish fillets, seaweed, dried seaweed | Stretch Film Wrapping Machines | FUJI MACHINERY CO.,LTD. 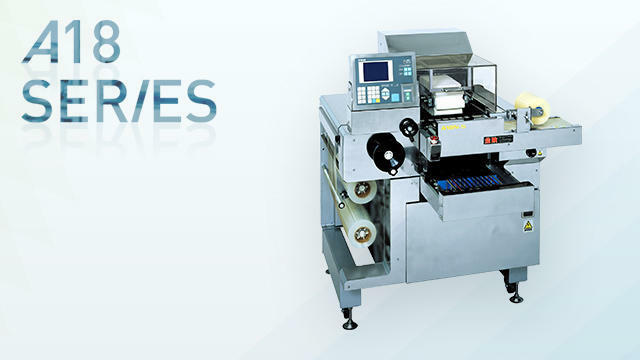 A lifting type stretch packaging machine that is suited for packaging in the backyard. Lineup includes A18N/S with front dispensing and front release and a simple packaging data registration function, A18XY/S which can switch between soft and general trays, and A18X/S with front dispensing and front release for line production.